There is not as large a leap between being a professor of Byzantine studies and writing a novel that's gained comparisons to Dune as one might think. 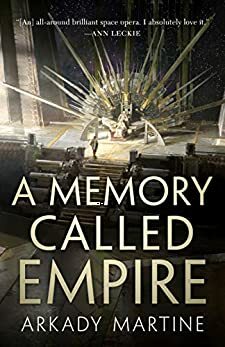 Arkady Martine drew upon her years of study, friends' experiences, and an enormous curiosity about the clashes and assimilations of societies to deliver the most remarkable SF novel of the year so far in A Memory Called Empire. Mahit Dzmare is sent to the capital city of the massive Teixcalaani empire to represent her people on Lsel Station—30,000 souls living in an independent mining station on the edge of Teixcalaani space. Riding along with Mahit, in her brain, are the memories of the ambassador who preceded her, though the memories, unusually, are ten years out of date. When Mahit arrives to discover that the emperor is dying and her predecessor has made unsanctioned promises to him, she must draw on all her skills and her understanding of the Teixcalaani society to extract herself and her Station from a dire situation. At the same time, Mahit is a Teixcalaani-phile, and many things about the empire, including its literature, draw Mahit deeper into its imperial embrace. "It's House of Cards in space," says Arkady Martine, as we spoke by phone. "It's about what happens with people who get assimilated into an empire, and about loving things that maybe you shouldn't love." A Memory Called Empire sprang from Martine's fascination with the true story of an 11th-century Armenian religious leader named Petros I Getadarj who went to Constantinople to negotiate with the rapidly encroaching Byzantine empire. "He basically trades one of the cities of Armenia, the kingdom of Ani, to Constantinople in exchange for a promise that they won't have to convert. So he's kind of betraying his country to save this country. I got so completely hooked on that idea." It inspired the first incarnation of A Memory Called Empire. "I was going to write about someone coming from a small border culture with a long independent tradition and having to figure out what could be sacrificed to preserve that place." Then she had another brainstorm: "I realized that it would be a way more interesting story if I didn't write about that guy, but I wrote about the person who had to clean up after that guy." And Mahit Dzmare was born. When Lsel Station is sent a message from Teixcalaan that they want a new ambassador right away, Mahit is picked to be Lsel Station's new representative. Unusually, she bypasses the standard one-year assimilation process for the memory-holding and -recording imago machine that only Lsel Station citizens possess. "They made sure that she wasn't going to have an aneurysm and put her on a ship," explains Martine. Three months later, Mahit is at the empire's glittering capital. Unlike the person who had to clean up after Petros I Getadarj, Mahit doesn’t know a bargain has been struck with the empire without her Station's approval. These days, protagonists in space operas are often outlaws, rebels, or military grunts bucking the big, bad system. Mahit, however, has a complex relationship with the neighboring empire that rings true. As a member of a border culture, she's been influenced by Teixcalaan literature and storytelling since she was young, and living in the heart of the empire is a dream come true. At the same time, the Teixcalaani see Mahit and her Station as backward, barbaric, and even alien. Says Martine,"I've been lucky enough to have friends who come from cultures who are more recently colonized than mine, and who have talked to me about their experiences and weaponizing [the idea of] being the barbarian. Like, 'Okay, if you're going to say that I'm not quite human, well, then, I'm going to shove that in your face.' "
Though Mahit is a novice ambassador, she quickly realizes that she can use her perceived "barbarianism" as part of her diplomatic toolbox, throwing the Teixcalaani off balance when she needs to. She needs to almost immediately, for one of her surprising first tasks when she reaches the capital city is to identify the body of the former Lsel Station ambassador. And Mahit has no doubt that he was murdered. The threat of a military coup, politically charged poetry (though not Tolkien-esque poetry – brevity is prized), and the sudden disappearance of her predecessor's old memories shoves Mahit into a highly dangerous scenario where her independent Station is all but certain to be swallowed by the Teixcalaani empire. Spy craft, unreliable alliances, and her own instincts are all that Mahit can rely on as the empire turns its acquisitive gaze on tiny Lsel Station. While Mahit's point of view dominates A Memory Called Empire, book two in the series pulls in other viewpoints as the empire and Lsel Station have to deal with a new, sentient species. The aliens that the Stationers and the Teixcalaani encounter are not like anything they've dealt with before. With A Desolation Called Peace, Martine wanted to tackle questions like, "How do you treat other sentients if they really are alien, and maybe they do things like kills people indiscriminately or eat their babies?" Martine adds quickly, "Not other people's babies; their own.... They're mammals that have litters. Only some of them get to have the transformation into being people, and the rest of them are food, because you don't waste resources." Martine laughs. "I promise the book is also fun. There are space kittens and interstellar mail fraud." 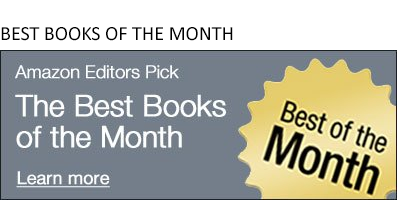 The Amazon Books editors named A Memory Called Empire as one of the best science fiction and fantasy books of April.